World AIDS Day is recognized around the world. The World Health Organization proposed the first World AIDS Day in 1988. Since 1995 a Presidential proclamation has been issued on this day. Other countries followed. Romania celebrates Unification Day. In 1918 Romania and Transylvania formed one country. This southeastern European country, bordering the Black Sea, is slightly larger than Utah. Almost 22 million people live in Romania, and Bucharest is the capital. Agricultural products include grains and sugar beets. Romania exports natural gas and metals. Central African Republic celebrates Republic Day. It is a landlocked country a bit smaller than the state of Texas. Over five million people live in the Central African Republic. Bangui is the capital. Washington, DC, became the capital of the United States in 1800. Parts of Virginia and Maryland were combined to make the new capital. Charles L’Enfant created the architectural plan for the city. The federal government is the largest employer, and printing is the biggest industry. Over seventeen million tourists visit the nation’s capital every year. Children could locate some of the many important buildings on a map of Washington, DC. Rosa Parks was arrested in 1955 in Montgomery, Alabama, because she did not give up her seat in a municipal bus. The African American’s actions led to a boycott of the Montgomery bus system. Many experts believe this event triggered the civil rights movement. Children could relate the Montgomery boycott to the boycotts led by Gandhi in India. Children could also read Rosa Parks: My Story by Rosa Parks and Jim Haskins. They could also visit the Library of Congress site at: Rosa Parks. 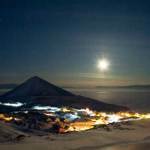 Antarctic Treaty was signed by twelve nations in 1959. The original twelve countries are: Argentina, Australia, Belgium, Chile, France, Japan, New Zealand, Norway, Russia (as Soviet Union), South Africa, United Kingdom, and United States. Today 50 countries recognize the treaty. The continent will be kept as a scientific preserve, and no nation can colonize it. Children can view great pictures of Antarctic animals at: Antarctic Animals. 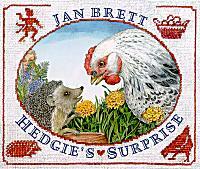 Jan Brett (born Norwell, Massachusetts, 1949) is an author and illustrator. She wrote Hedgie’s Surprise, one of her 37 books. Children can visit her amazing website, filled with activities and coloring sheets, at: Jan Brett. Mary Martin (born Weatherford, Texas, 1913; died Rancho Mirage, California, November 3, 1990) was a stage and television star. She was known for her roles in Peter Pan and South Pacific. Peter Pan includes the Lost Boys. Children could draw house plans for the Lost Boys’ residence. Tonight is the first night of Hanukkah, the eight-day “Festival of Lights” that commemorates the success of the Maccabees when they fought the Seleucids 2100 years ago. When the Maccabees knew they were victorious, they realized they had enough oil to light the menorah for only one night. However, the oil lasted for eight nights. Jews eat latkes, play games with dreidels, and light candles on the menorah every night. Tonight the shamash (the middle candle) and one more candle will be lit. Hanukkah will end the night of December 10. Children could read Alexandra’s Scroll: The Story of the First Hanukkah, written by Miriam Chaikin. Children could also visit a great website, loaded with activities, at: http://www.activityvillage.co.uk/hanukkah_for_kids.htm. United Arab Emirates was formed in 1971 when seven sheikdoms united and formed one country that gained its independence from the United Kingdom. According to the CIA World Factbook, the country’s area is slightly smaller than the area of the state of Maine. About five million people live in this desert country. Abu Dhabi is the capital, and the UAE is known for its petroleum reserves. 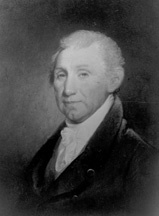 Monroe Doctrine was established in 1823 in James Monroe’s address to Congress. He stated that the American continents were not to be further colonized by European nations. Older children could visit the State Department Historian website to understand more about the doctrine at: Monroe Doctrine. They can also read a transcript of the doctrine at: Monroe Doctrine Transcript.